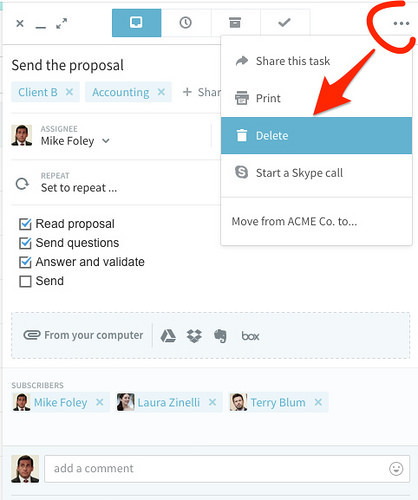 Sometimes you may want to delete a task. You may also use the Someday category for tasks that you cannot plan, but don't want to see for the moment. You will then have to confirm you want to proceed with it's deletion.